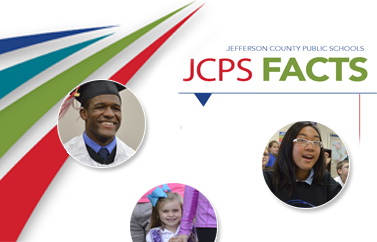 Follow I-264/Watterson Expressway to KY-1865 S/Taylor Blvd., exit 9. Continue south on KY-1865 S/Taylor Blvd. to Bluegrass Ave. Turn right onto Bluegrass Ave.
Continue to Hazelwood Ave. Turn right onto Hazelwood Ave. for approximately 500 yards to the first right. Parking is available by turning right at the first opportunity. 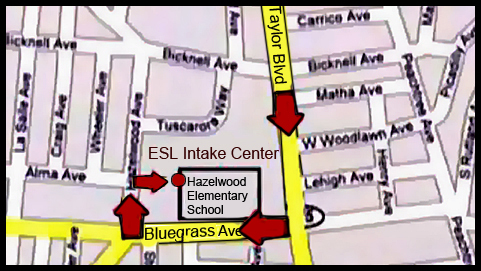 The English as a Second Language (ESL) Office is straight ahead at the far left entrance of Hazelwood Elementary.